Professional landscape and hard scape maintenance and construction company, serving Summit and Eagle counties. Here at Mountain Tree Scapes, we pride ourselves in excellent craftsmanship and superior customer service. For all of your landscaping and tree service needs, do not hesitate to reach out! We are a full service Landscape Design, Landscape Installation, Landscape Maintenance business. We also have a Retail Garden Center. We specialize in the intricacies of a complex, sustainable, high altitude landscape. GARDENZ is a boutique Garden design and maintenance company. 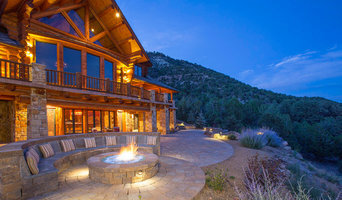 We pride ourselves in providing the highest quality landscaping services to our clients in the Aspen and Snowmass Village areas of the Roaring fork Valley. We are a family owned and operated business. Established in 1996. We offer a wide range of annuals perennials and flower baskets, including customs hanging baskets, customs moss hanging baskets and much more! We also offer gardening and landscaping services. We do just about everything so give us a call a see what we have for you! Green Side Up has been a full outdoor service provider in the Valley for 20 years. Treeline Landscape is an award winning landscape company located in Carbondale , Colorado. 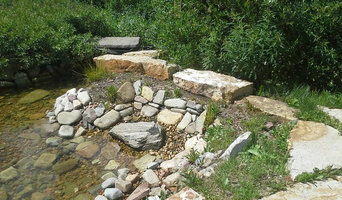 We have been beautifying the Aspen area for over 25 years. With Green-Way Pro, your dream of landscaping for your home is closer within your reach than you thought! Green-Way Pro prides itself on quality work that is done in a timely fashion, at very competitive prices. Green-Way Pro services includes a wide range of landscaping needs from weekly mowing, to xeriscaping, sprinkler systems installation, and more! Contact Green-Way Pro to make your landscaping everything you ever dreamed of. AVL was founded in 2003 with the intent of creating a design build company that works with the client to create sustainable and beautiful landscapes. We achieve this through communication, technology, experience and hard work.